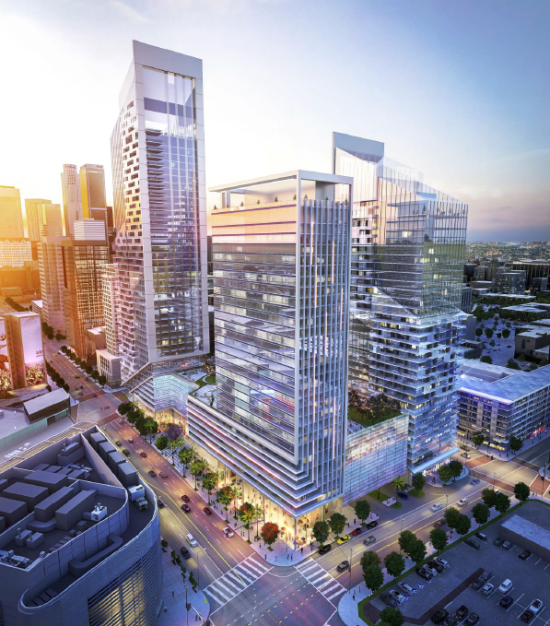 It’s a good time to be a Chinese developer in Downtown Los Angeles. 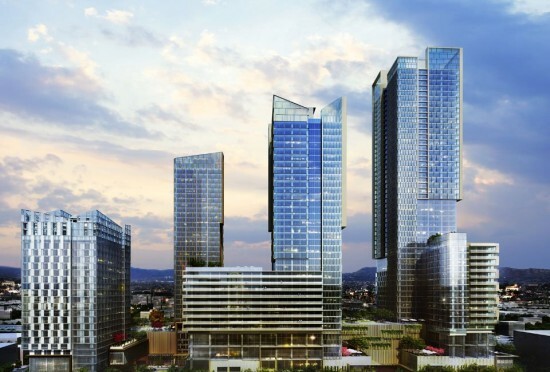 Beijing-based Oceanwide and Shanghai-based Greenland are already building two of the largest projects in the city: Fig Central and Metropolis. Now according to LA Downtown News, Shenzhen-based Shenzhen-Hazens has announced plans to build a $700 million, Gensler-designed project on Figueroa street across from LA Live. 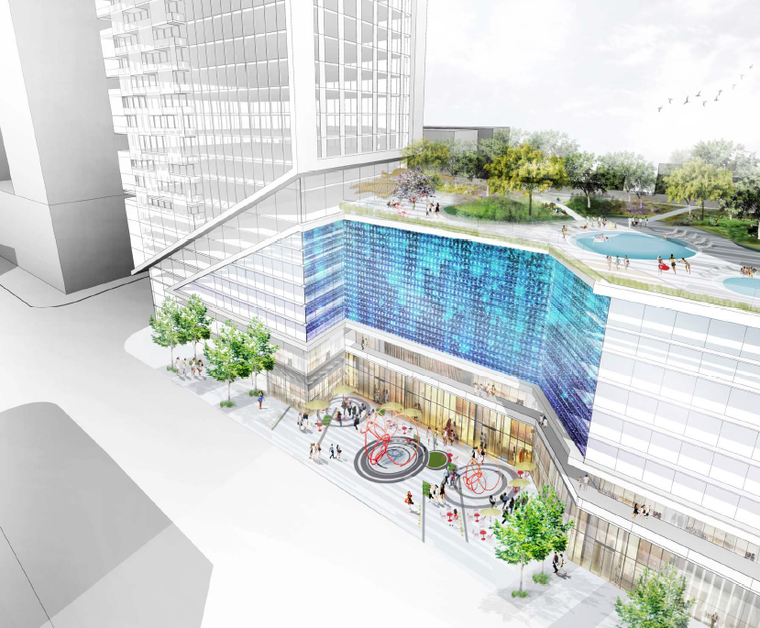 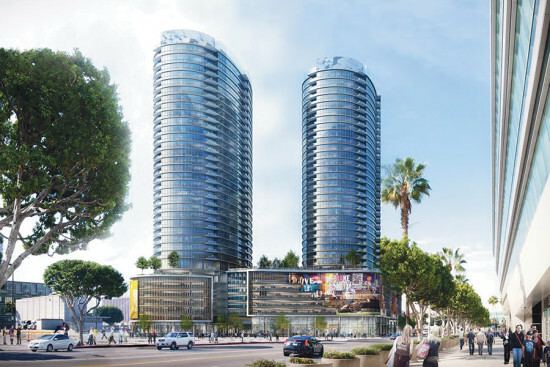 The scheme includes a 30-story hotel and 30- and 42-story condo towers. There would be 650 condos altogether as well as 80,000 square feet of retail, most of it along Figueroa, heating up the already super hot South Park.